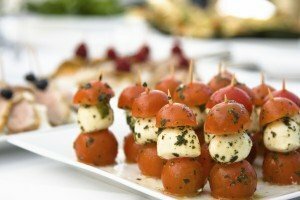 Planning on having a celebration party, wedding, barbeque or need corporate catering? 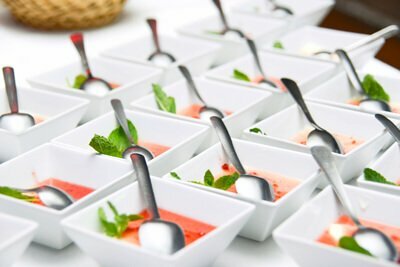 Whatever the event you are planning, you need to look no further than Sharrons Event Catering Company. We are experienced outside caterers committed to providing high quality food and services using only the best quality, fresh, and where possible locally sourced ingredients prepared in our dedicated kitchen. Over time we have become expert in event planning and our team is passionate about making your event special. 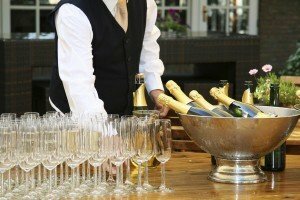 We are experienced party planners and will delight you with our detailed event management skills both for adults and childrens parties alike. 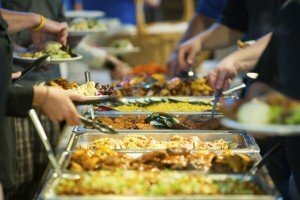 Our services include food catering and event planning for Adult Parties, Children's Parties, Seasonal Parties, Christenings, Weddings, Funerals, BBQs, and all types of Corporate Events from small dedicated staff functions to large product launches, in fact Sharrons Event Catering Company will provide a bespoke event tailored to your needs. 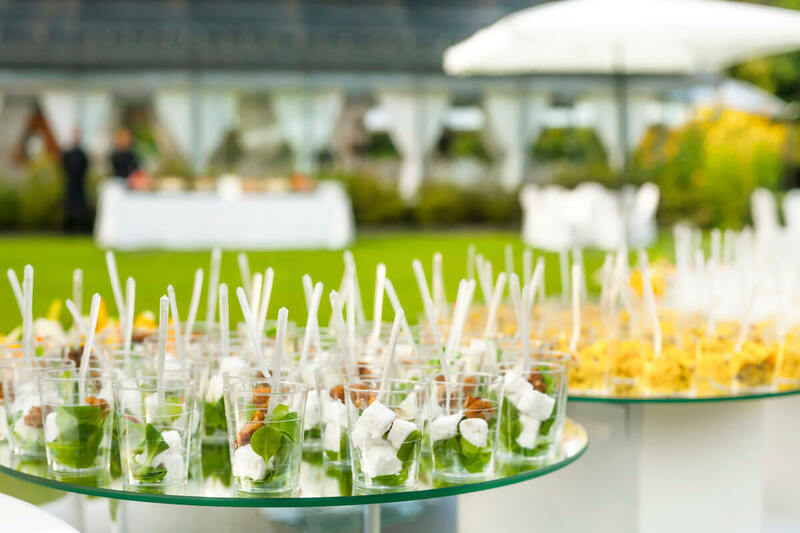 Sharrons Event Catering Company covers all of London and the south east of England including Essex, Hertfordshire, Kent and surrounding areas. Visit our testimonials page to see what our clients are saying about us. 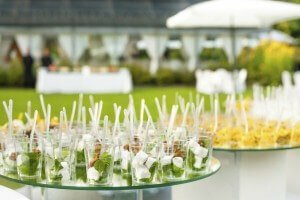 No matter the size of your event or how simple or complex your requirement please do call or email Sharrons Event Catering Company's friendly events team to discuss your needs and receive a no obligation estimate for our services. Summer or winter, what could be better than spending the warm day or a cold crisp evening enjoying a fantastic barbecue. At this difficult time, Sharrons Event Catering is on hand to offer our support and to ensure that all your catering requirements are met. A little less formal than a 3 course dinner, but no less delicious. Our buffets allow guests the flexibility of enjoying a substantial meal. Why not try something different for your party this Spring - our Bowl food are mini meals served in small bowls complete with a fork for your guests to be able to eat whilst sitting or standing. Served by our waiting staff they are the perfect way to provide your guests with an informal but substantial delicious meal. Hi Ladies, Many thanks for your excellent service, organising the catering for the wake of our Dad Mick yesterday. Your staff, especially Sonia, were brilliant and everybody enthused over the quality of the spread. Apologies that I was not able to thank Sharron personally, the proceedings of the day and the general social side of mingling with the guests, meant that this was not possible unfortunately. Thank you for making everything so easy and straightforward for the whole event, taking a large weight off our mind for what would have otherwise been a stressful situation in a difficult time for us. Best regards Darren, 9th January 2018. Dear Alison, Thank you for all you did to make mum and dads party go so well. We had a lovely time and the food was very nice. We are considering repeating the experience in the spring for dads birthday as it went so well. Regards Fiona, 29th October 2016. 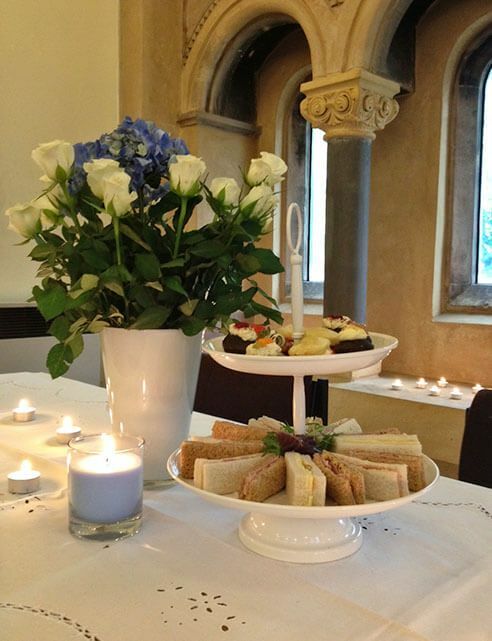 Hi Alison, I just wanted to send a note to say thank you for the catering you provided for our Christening on Sunday. Everything was perfect - just as described when booking. It took all the stress out of the occasion and it was fantastic to have such friendly, helpful and efficient staff. Many thanks, Katie, 2nd March 2016. Sharron, Thanks very much for your help setting up this morning and in getting everything organised with the View. Everyone loved the food, especially the fairy cakes, and the party went really well. Eileen x, 7th February 2016.